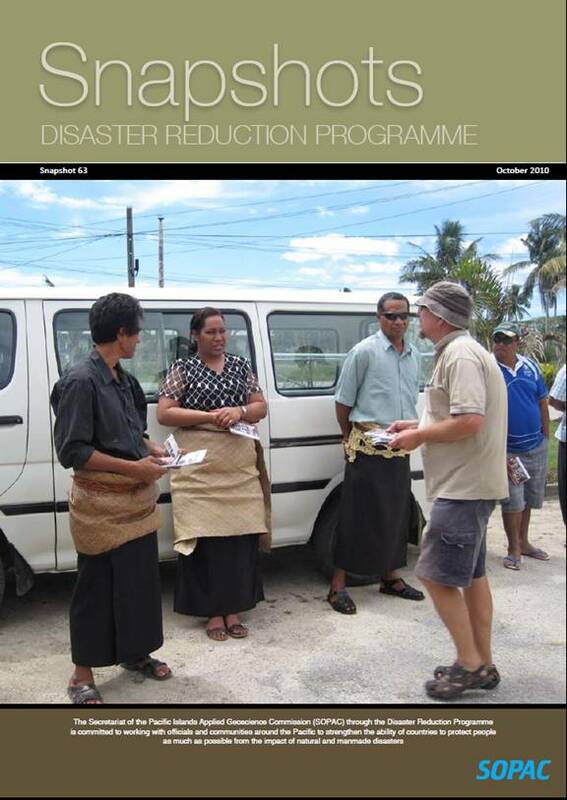 Six Pacific island countries are in the process of reviewing the progress made in relation to their disaster risk management action plans and strategies. The Cook Islands, Fiji, Marshall Islands, Samoa, Solomon Islands and Vanuatu are carrying out the reviews to determine advances made towards disaster prevention, preparedness, response and recovery as well as the management of hazard risks. Close to 200 participants were told by SOPAC’s Director, Dr. Russell Howorth, that the development of Geographic Information Systems (GIS) and Remote Sensing will continue to be a major part of the SOPAC technical support service work programme. SOPAC provides assistance to 21 island countries in the Pacific region through applied geoscience and technology. 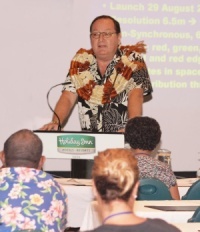 Dr. Howorth was speaking at the 2010 Pacific Islands Geographic Information System (GIS) and Remote Sensing (RS) Conference being currently being held in Suva, Fiji. SOPAC will host the second project meeting on a joint initiative by the World Bank, the Asian Development Bank and SOPAC on Pacific Catastrophe Risk Assessment and Financing. The purpose of the meeting is to review progress in collecting building, infrastructure, population and crop data to determine the level of risk faced by Pacific island countries. 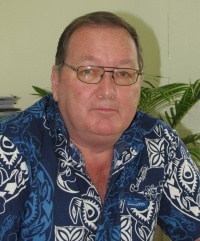 Dr. Russell Howorth will continue as Director of SOPAC (Pacific Islands Applied Geoscience Commission) for another year. He is an internationally recognized earth scientist, and retired as Deputy Director of SOPAC in 2005, after serving the region with the Commission for over 26 years. Members of the SOPAC Governing Council confirmed the extension of his contract during their 39th Annual Session held in Nadi recently. Dr. Howorth had initially accepted the Directorship at the beginning of this year in order to assist Council Members with the way forward to implement the decision by Pacific Island Forum leaders to integrate SOPAC into the operations of the Secretariat of the Pacific Community (SPC) and the Pacific Islands Environment Programme (SPREP). A recent analysis of Niue’s groundwater that tested for selected chemical and organic pollutants has found that the country’s water supply is very good and well within global standards. The study focused on all 16 boreholes used to pump Niue’s drinking water, three monitoring boreholes located on the island’s central, northern and southern areas and a borehole found on Vaiea farm. Due to local concerns of pollution from pesticides like paraquat, groundwater was tested for traces of all pesticides used on the island. The study found that there was no contamination from pesticides with levels recorded well within the United States Drinking Water Standard. A recent outbreak of typhoid in Kiribati highlights how water borne diseases continue to be a major threat in the Pacific islands, especially in low-lying atolls. 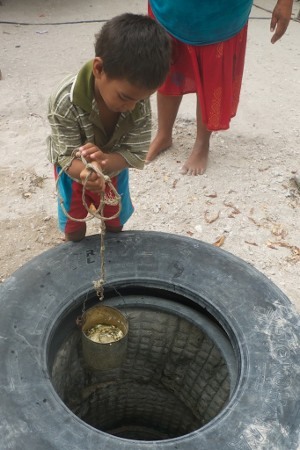 The capital island of Kiribati, Tarawa, has also received almost no rainfall over the last three months, putting additional stress on limited water supplies. However, recent actions by Kiribati to put in place a National Sanitation Policy means it is showing the rest of the Pacific the way forward to address these problems. Mr Riteti Maninraka, Secretary of the Ministry of Public Works and Utilities, said that having a National Sanitation Policy and Implementation Plan in place should provide direction on how the nation will work with the community and development partners to help solve its sanitation problems in Tarawa and the country’s outer islands. A SOPAC-organised workshop, supported by technical partners and funded by AusAID, is taking place in Sydney to help Pacific Island countries develop their Extended Continental Shelf (ECS) submissions to the United Nations. Under the United Nations Convention on the Law of the Sea, an island country’s Exclusive Economic Zone (EEZ) extends 200 nautical miles from its coastal baselines, which is calculated from the lowest tide levels. Article 76 of the Convention sets out criteria upon which an island country may establish an Extended Continental Shelf that extends beyond the 200 nautical mile limit. We have recently completed the final SOPAC Governing Council meeting which was held from 16th – 21st October at the Tanoa International Hotel in Nadi. The major outcome of the meeting in terms of SOPAC’s integration as the Applied Geoscience & Technology Division of the Secretariat of the Pacific Community (SPC) is that the Member Countries have decided that the SOPAC be suspended rather than dissolved. This will allow for the reconstitution of SOPAC as an organisation in the future should Member Countries so decide. But, for the moment, we are all geared up to be a part of the SPC family and look forward to the challenges and opportunities that this will bring. KOROR (Palau Horizon, Oct. 28, 2010) - President Johnson Toribiong has signed an Executive Order adopting the 2010 Palau National Disaster Risk Management Framework (PNDRMF) on Tuesday. Executive Order (EO) No. 287 repeals the existing EO 166-99 that was adopted on the Sept. 18, 1998 as the Republic of Palau National Disaster Management Plan. It was issued on May 10, 1999. That plan addressed a comprehensive response and recovery arrangement. It acts as the mechanism for incorporating disaster risk reduction and mitigation measures to achieve sustainable national development planning mandated in the 2020 Palau National Master Development Plan. Mr. Mosese Sikivou, Manager of the SOPAC Disaster Reduction Programme, said that the meeting “allowed for better risk management training and capacity building programmes that specifically target the heads of disaster offices and the disaster management support structures in the Pacific. “Tropical cyclones affect the region on an annual basis. 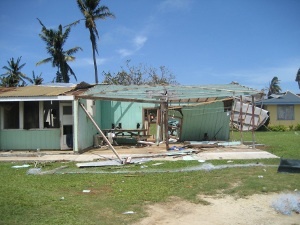 Events like the September 2009 tsunami that devastated Samoa and Tonga, and floods that submerged Fiji’s Western Division in January 2009, are constant reminders that people and governments must be prepared to deal with natural disasters at a moment’s notice,” said Mr Sikivou. With Regional Disaster Managers coming from the Pacific Island countries and territories of the Cook Islands, the Federated States of Micronesia, Fiji, Kiribati, Nauru, Niue, Palau, Papua New Guinea, Samoa, Solomon Islands, Tonga, Tuvalu, Vanuatu, New Zealand, Australia, and, for the first time, French Polynesia and Wallis and Futuna, the meeting took the form of a professional development workshop.